Grab a bite at one of the hotel's 2 restaurants, or stay in and take advantage of the 24-hour room service. Wrap up your day with a drink at the bar/lounge. Buffet breakfasts are available daily from 6:30 AM to 10 AM for a fee. 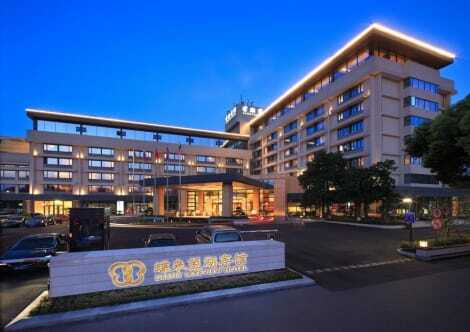 This hotel lies in the centre of the city's business and shopping district, just a short walk from the breath-taking West Lake. 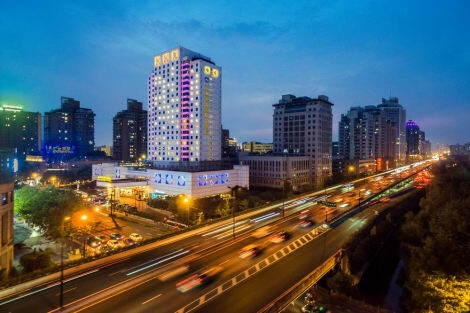 This family-friendly hotel is easily accessible, with Xiaoshan International airport just 30 minutes away. This charming hotel offers 285 ensuite guest rooms, all tastefully decorated and fully equipped with modern amenities including a TV, Internet access and a minibar. Throughout their stay, guests can unwind in the hot tub, enjoy an invigorating swim in the pool or indulge in one of the many pampering treatments on offer at the spa. After a long day, guests can retreat to the hotel's peaceful surroundings and choose from one of the 5 spectacular on site dining restaurants. Whether travelling for business or leisure, this is an ideal destination.